View more informative videos for those living with aphasia here. 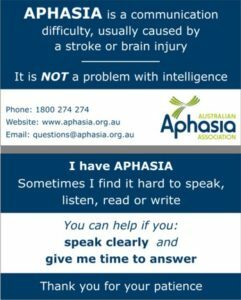 ‘I have aphasia’ cards are designed to help individuals with aphasia to communicate with people they are meeting for the first time. 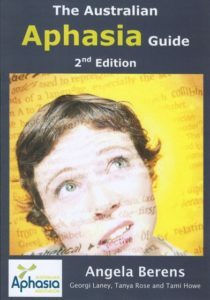 If you’d like to learn more about aphasia, you can access more resources here.